Elizabeth Holmes caught up with Jan Dubiel to clarify what good practice means in early years teaching and learning. In the early years, teaching and learning has an ‘otherness’ about it. Too often this is overlooked as we debate how younger children learn best in our schools. National director of Early Excellence, Jan Dubiel (@JanDubielEEX) is a leading expert on the development of pedagogy of early childhood. I caught up with him to find out what excellence in the early years looks like and what changes we can expect in the near future. The Hundred Review was clearly an immense undertaking, and has given a clear picture of what effective practice in Reception looks like and what challenges practitioners face. Tell us more about that. Something that became clear to us when we did The Hundred Review was that there is no clear consensus on what good practice looks like in the early years. But we do need to understand that early childhood education is significantly different from what happens next as children get older. It’s crucially important that we don’t look at early years through an inappropriate lens. What we know about neuroscience tells us that significant things happen in the development of children around the age of seven. Up to the age of seven, children need concrete learning opportunities, as this will help them understand abstract ideas. The type of pedagogy that works best for young children is a mix of adult-directed and child-initiated learning. This is widely misunderstood. The role of the adult needs to be thought about. This blend of adult-directed and child-initiated learning is dynamic and complex. We need there to be a greater awareness of what has to be in place for children to secure competent literacy and maths skills. How can we understand those developmental processes more widely? 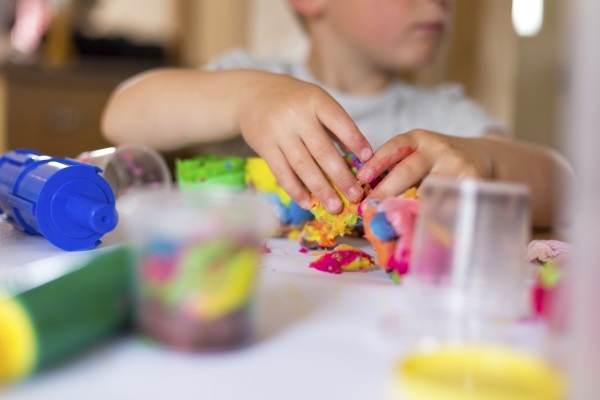 The Ofsted explanation of teaching in the early years is clear that it should not be a top-down or formal way of working and that it includes the interactions with children during planned and child initiated activities. These are the foundations of learning. You do need to teach children things through direct instruction, but in order for them to understand what they have been taught, they have to work on their own to make sense of ideas. It’s a highly complex balance between teacher-directed and child-initiated learning. All of this has to be prominent up to age seven. Do you think this is widely appreciated? I don’t think so. For example, we know from research that phonics attainment alone is a very poor indicator of future academic success. But phonics mixed with language development and more subtle learning ‘behaviours’ has far better outcomes. Get tips and strategies for developing phonics and learning language skills at the Engagement & Progress in Reception conference. Check out the programme for details. Are there any imminent changes to early years education that will help to ensure that this is more widely appreciated? There are some proposals for a new baseline assessment in the early years, based on a very narrow assessment of literacy and maths. This is likely to give inaccurate data, especially as it will be collected via a computer based model. It appears from the documentation that teachers won’t know the scores that the children achieve as the results will only become relevant when the children reach Year 6. This is due to be implemented for children in Reception year in 2020. There will also be a review of the early learning goals to bring them more in line with Key Stage 1 goals and the increased emphasis on literacy and maths. What’s the most important thing we need to remember about teaching and learning in the early years? How can we make sure we get it right more often than not? Reception teachers are working with a tsunami of motivation. Young learners are full of ideas for utilising what they learn. We need to get it right in these early school experiences so that when they move up the school system they can build on their early development. If policy, curriculum and assessment changes support that, great. But if they don’t support understanding of the complex nature of teaching and learning in the early years, and the need to balance literacy and maths with the wider development of young children, we’ll be taking a backward step. We know what we need to do in early years. We just need the opportunity to do it! Early Excellence works with 6000 schools nationally, promoting and developing teaching and learning in the early years. It also works internationally with governments around the world to promote the highest quality early years education. The Hundred Review by Early Excellence highlights the unique role Reception plays in primary education.